Have you ever thought about the service similar to the 5 star hotel in a cinema Hall. 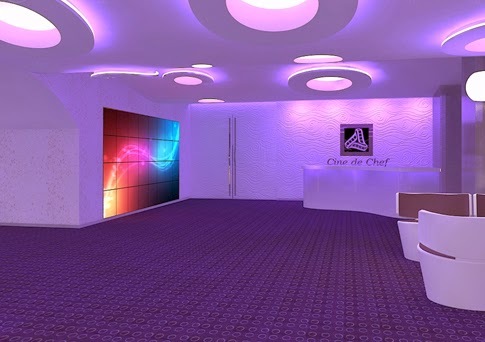 Cine De Chef is the new cinema hall located at the Civil Trade Center (CTC mall) that is aiming to provide the services as that of a 5 star hotel where you can dine as well as watch movies at the same time. 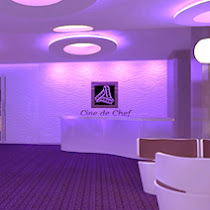 There will be two theaters or auditorium at Cine De Chef, one named as Cine and the other as Cine Dine. Regarding the seating arrangement at Cine De Chef, Cine Dine has the luxurious and comfortable leather sofas which are imported from China and Malaysia. These sofas have the built in back massager,mini beverage Cooler and bell for calling the waiter. In addition, you can order the items/food while watching movie with stand-by Cine Hostess at your services. Besides this, the theater also has two bars where we can get organic cocktails and mock-tails. 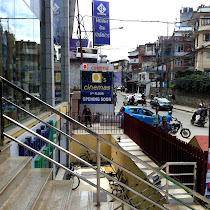 The sound system and the projector used in the theater is imported from the Meyer Sound and Christie respectively both of which are well known US Companies. World famous band metallica and the Beijing Olympics event used the Meyer Sound. 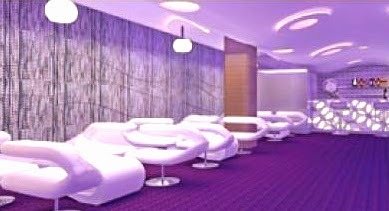 Cine Dine: The "Cine Dine" theater has a total of 62 luxurious portable sofas which can be adjusted as per your seating requirements and comfort. The booking of Cine De Chef Movie tickets can be done via online or through the mobile apps.